Club Games are open to all club members. The purpose of these games is to allow for friendly competition, the chance to hone new skills, bowl with different members, all while enjoying the friendliness and welcoming atmosphere of our club. 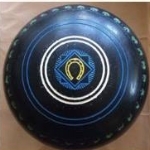 Veteran and notice bowlers alike are encouraged to participate in club games. There is no fee and hence no prize money. They’re arranged to be low-key, so there is one draw in the mid-morning before lunch. Players can eat their lunch and head out, or for those who want to continue playing, an informal draw opportunity is available after lunch. A club game of the day may be one of the standard variations of the game, such as Australian Pairs, New Zealand Pairs, Cutthroat, Yardstick, Triples, Rinks or Short Jack Pairs. A game of the day may also be a new twist, just for the fun of it. See descriptions below! Throughout the year, Sunday on the Greens there is a non-hosted draw game for any and all members who show up. Check the calendar during busy tournament season and check the thermometer during the winter season. As long as there is no tournament in play and no frost or snow on the greens, some members will likely come out to play. Join in! Keeping with the low-key theme, whites and pre-registration are not required. Simply show up 15 minutes before game time to get your name in the draw. No fee required. Open to members only. – Inclement weather (significant rain -or- snow) players may not show up. – If ground is frozen (temp hovering around 32 F or lower), per the Greens Chairman, please do not play as this could damage the green. What better way to start the New Year than with a lively game of bowls? Warm beverages provided, bring brunch items to share! Triples is played with 3 bowlers per team, each player rolling only 3 bowls per end. Player roles are Lead, Vice, and Skip. The Vice provides the information from the head when the Skip bowls. A Singles game with all bowls scoring 1 point within one yard of the jack. The closest bowl gets a bonus point. This means that one bowler can score a maximum of 5 points per end. Rinks (or fours): A game commonly played around the world and in many major tournaments. 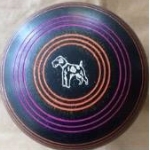 Rinks is played with 4 bowlers per team, each player rolling only 2 bowls per end. Player roles are Lead, Second, Vice and Skip. As with Triples, the Vice provides the information from the head when the Skip bowls. Join your fellow bowlers for the Annual Cereal Bowl, literally at the crack of dawn (7:30AM)! Wear your PJ’s if you like. Bring your porridge, favorite cereal or a breakfast treat. The club supplies the milk, juice and coffee. The sun will be up. Dew permitting, the traditional spiral course will be waiting for you. This zany event is not just for morning people! A variation of the standard Pairs game with the jack always set at the miniumum distance of 21 meters. Australian Pairs or 2-4-2: This is a variation of a Pairs game with a change in the bowling order. Leads bowl 2 bowls, Skips bowl 4, then Leads complete their last 2. This means that you are changing position on every end. Leads become Skips on the next end and then Skips become Leads. New Zealand Pairs or 2-2-2-2: This is a variation of a Pairs game with Skips and Leads alternating 2 bowls each in any end. The Leads bowl 2, Skips bowl 2, Leads bowl 2, then Skips finish with 2. This variation is commonly played in Australia as well as New Zealand, but since we know Australian Pairs as 2-4-2, we’re calling this version NZ pairs. A Singles game. Each end has a maximum of 6 points scored this way. Closest bowl to the jack scores 3 points, next closest scores 2 and third closest scores 1.